Delicate colour, with radiant shine and translucent reflects. 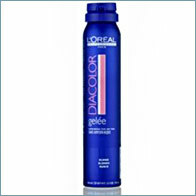 Ammonia-free light gel formula for translucent colour results. Non-lightening. Translucent coverage of up to 50% white hair.